PROMOTION DATE: 22nd of November 2007. Please, note that you will be required to pay for the issuance of your winning certificate. 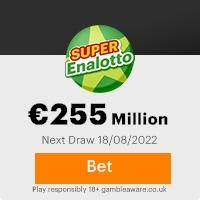 Be notified that all winnings must be claimed not later than 15th DECEMBER 2007. After this date all unclaimed winnings will be null and void. In order to avoid unnecessary delays and complications remember to quote your reference number and batch numbers in all correspondence. Furthermore, should there be any change of address do inform our agents as soon as possible. Previous: Claim your prizeFresh ScamsNext: CLAIM PRIZE!! This Email with the Subject "CLAIM PRIZE" was received in one of Scamdex's honeypot email accounts on Thu, 22 Nov 2007 12:05:47 -0800 and has been classified as a Generic Scam Email. The sender shows as rosa alvaro <rosaalvaro@web.de>, although that address was probably spoofed. We recommend that you do not attempt to contact any persons or organizations referenced in this email, as you may expose yourself to scammers and, at the very least, you will be added to their email address lists for spam purposes.